Written by my co-writer Stacy! Planet Wise has been the go to for my cloth diapering needs for a long time, but did you know they have a whole line up of reusable products to help you save money? 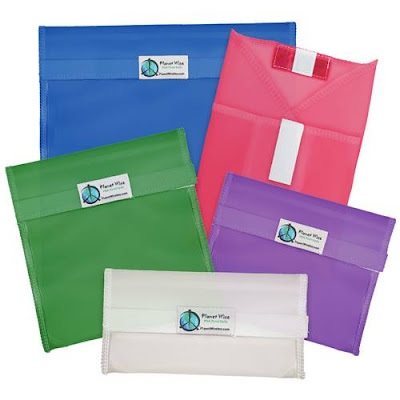 Planet wise has done it again with tinted and clear reusable snack bags, they range from snack size to gallon bags. They sent me four of their gallon bags for this review and I am so in love. 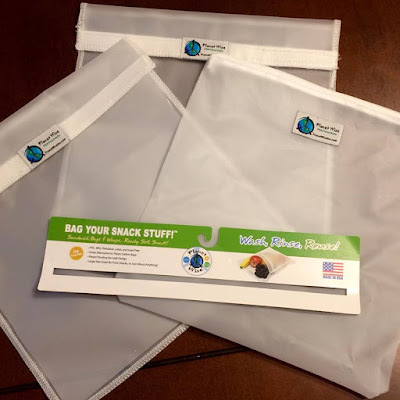 Imagine never running out of baggies to put your kids school lunch items in, or snacks for the road. 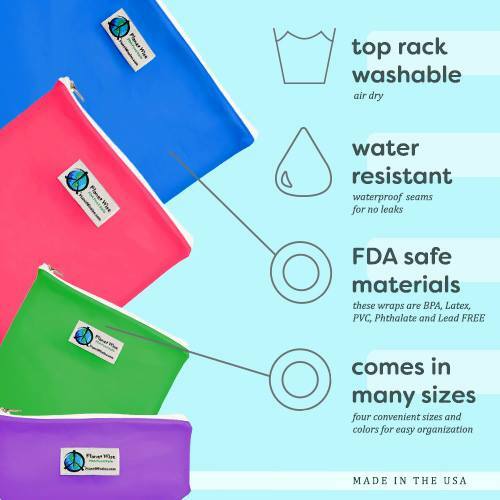 Not only are they washable on the top rack of your dishwasher, they are FDA approved with no BPA, latex, phthalate, or lead. You can get them with a zipper closure or hook and loop. 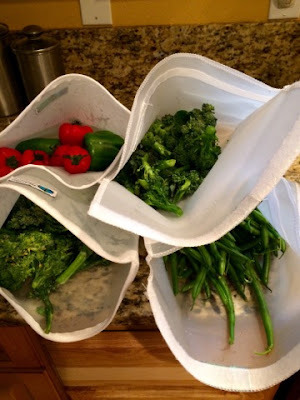 I used mine for storing vegetables in the fridge, cleaning them, and I also used one as a diaper bag organizer for attending Mommy-con. It feels good to know the fruits and veggies you give your kids haven't been wallowing in plastic all day. My Mom brought us over some green beans she picked up at a farm stand, so I tossed them all in a gallon size bag, added water, and had my daughter swish them around. Then we drained the water, rinsed again, and we were good to go. 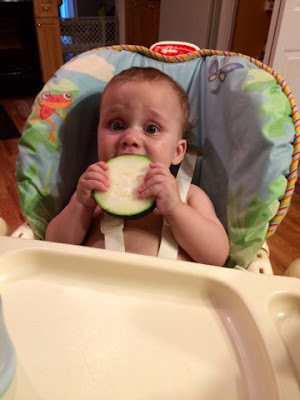 I was even to fit a big zucchini in one. 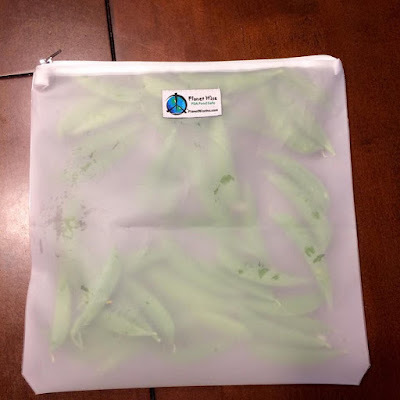 I don't know if it is just in my head or not, but I felt my veggies stayed fresher in the Planet Wise bags than if I wrapped in plastic wrap. This is the only earth we have, and we need to preserve it for future generations. If every family replaced disposable snack bags with items like this, imagine the impact. Planet Wise is exactly what their brand name says! 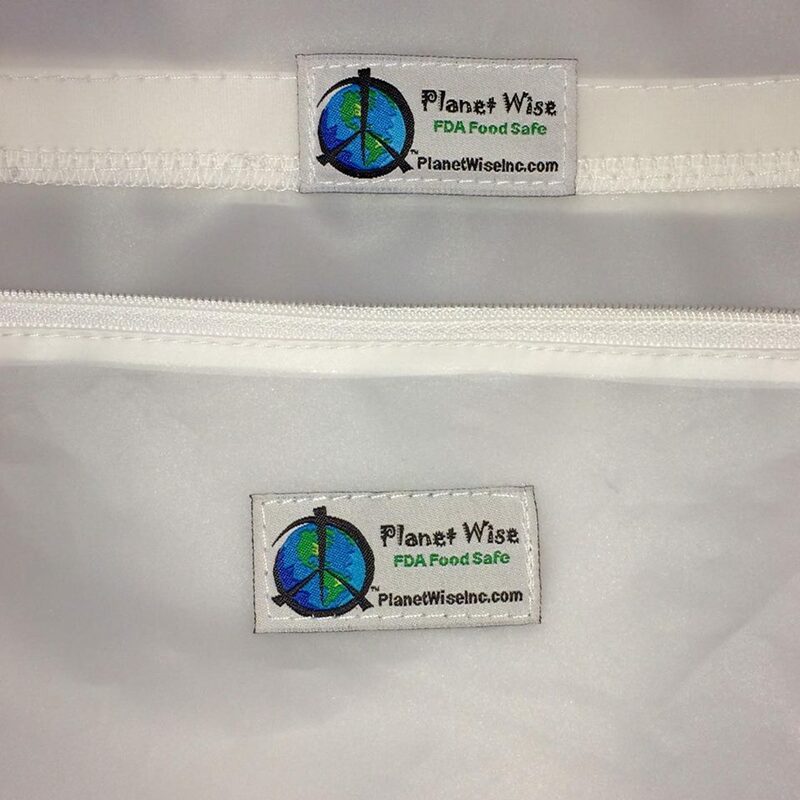 Thank you to Planet Wise for sharing your new product with me. Price: 3 pack of snack is $16.95, 3 pack of quart size $18.95 and a single gallon bag is $9. For colors, clear is $1 cheaper for each. Same prices for Zipper or Hook and Loop top!